I had my doubts, too, but these ARE better. On a hot summer day, you drive to the closest Jack in the Box in the area, walk into the all-too-familiar air-conditioned fast food chain, and wait in the line to order. You're bored, so you start studying the menu. Looking at its calorie content - 720 with nearly a half of it from fat - all of a sudden you are not so sure about the BBQ bacon cheeseburger that you originally planned to order. Now pause there for a second, because we are about to give you 4 healthy Jack in the Box orders that rival the bacon cheeseburgers. If you are in a burger-kind-of-mood, then perhaps you would want to go with Jr. Jumbo Jack instead. With a smaller serving size and the elimination of bacon, Jr. Jumbo Jack cuts the calorie content down to 420, with a significantly less amount - 150 calories - from fat. The beef patty is topped with tomato, lettuce, onions, and pickle, leaving you satiated with no reason for guilt. 2. Chicken Teriyaki - Really?! No matter where you go, salad is always a safe choice if you want to be healthy. 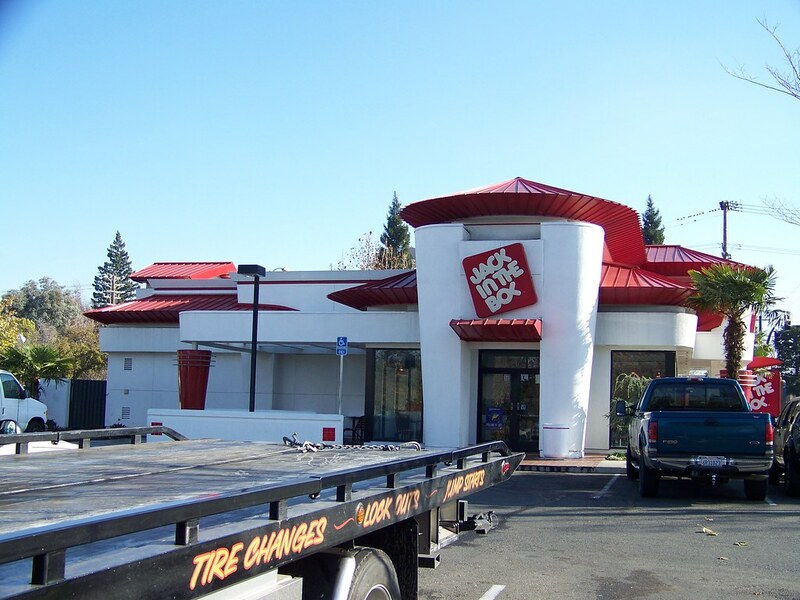 In fact, there are a few salad options at Jack in the Box including chicken club salad, southwest chicken salad, and grilled chicken salad, with slight variations in content. Chicken breast is known to have a high protein content, while vegetables are rich in vitamins as well as fiber. If you want to venture a step further, simply order grilled instead of crispy chicken, and substitute low fat balsamic vinaigrette for ranch dressing. No way, this is too good to be healthy! If this is your first reaction, then you'll be surprised. In fact, just the pita bread itself is packed with 16 grams of whole grain. What's inside? Grilled chicken, cheddar cheese, lettuce, onions, and tomatoes. An entire serving contains only 340 calories, yet as many as 23 grams of protein. Trust me, you will want to try this. Now that we've presented the 4 healthy Jack in the Box orders, have you figured out what to eat yet? Did you say it's brunch time and you want something light? Well anyway, take some time if you need to, but spare the bacon cheeseburger, because these options are just as good - if not better.